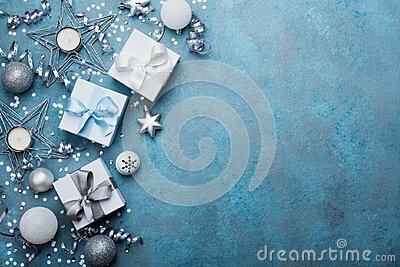 Holiday background with christmas decoration and gift boxes top view. Festive greeting card. Flat lay.